The UFC has confirmed that American star fighter Brock Lesnar failed a second drugs test on the night he beat Mark Hunt at UFC 200. The iconic fighter is currently under contract with the WWE and had not contested an MMA bout since December 2011 until his return to fighting earlier this month. Lesnar reportedly pocketed a record $2.5 million after his victory over Hunt on July 9, which he won by unanimous decision. However, it was revealed recently that the 39-year-old failed an out of competition drugs test administered on June 28. The UFC’s regulations say any retired fighter returning to competition needs to be tested over a four-month period prior to his bout - but the rules were relaxed for Lesnar. The former UFC Heavyweight Champion is believed to have tested positive for the same substance in both tests, but this has remained unnamed as per US Anti-Doping Agency policy. However, reports have emerged that Lesnar tested positive for anti-estrogen blocker clomiphene, which was also recently flagged in Jon Jones’ blood. Lesnar has not commented on the issue as yet. 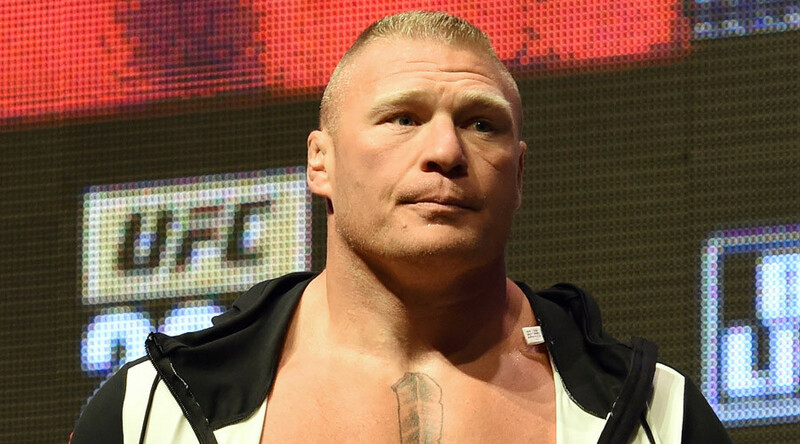 Hunt was irate after news of Lesnar's first failed test emerged, stating that he wanted his UFC contract to be terminated if he was not given a share of Lesnar’s purse. Despite Lesnar not failing any drugs tests in the past, his opponent claimed he thought the returning star was “juiced to the gills” before their contest. The UFC have stated that USADA will handle the review process. “USADA, the independent administrator of the UFC Anti-Doping Policy, will handle the results management and appropriate adjudication of this case,” a statement reads.